As I was ruminating on the implications of Leo Varadkar allegedly telling Fine Gael TDs that "the plates are shifting in Irish politics", I accidentally came across a news item about a Dungannon hurling club that made me laugh - but also provided insight into the big issue. Last weekend, children from a so-far-unidentified Leinster club set about sledging Dungannon's Eoghan Ruadh hurling club, which was participating in an all-Ireland under-14 competition in Westmeath. Being children, they fortunately didn't go in for the Aussie practice of claiming to be sleeping with the opposition's wives. They did worse. According to Eoghan Ruadh's chairman: "Children as young as 11 and 12 used sectarian sledging including calling our players 'British bastards' and saying, 'You are not even Irish, away home you Brits'." It was a graphic reminder that in whatever direction the plates are shifting, the fissures between northerners and southerners go much, much deeper than proponents of a united Ireland realise or admit. Partition partitions. The Taoiseach was presumably reflecting recent speculation about constitutional change that has been sparked off, inter alia, by the latest developments in the shambolic Brexit negotiations, a BBC poll saying that only 47pc of Northern Irish people identified themselves as strongly British, Sinn Fein shouting about a border poll and former first minister Peter Robinson musing about changing the rules laid down for such an eventuality in the Good Friday Agreement. Observers speak of shifting plates and creaking electoral glaciers. To look at them in turn. There's no doubt about the uncertainty and despair that is evident in Westminster circles over Theresa May's dealings with the EU. She may cling on or may be overthrown but, at the same time, there is no lack of crises facing her Brussels tormentors, who are simultaneously fighting insurrections in Italy, Hungary and Poland, panicking that Angela Merkel may be nearing the end and trying to work out what the hell to do about presidents Putin and Trump. Whatever they're doing as they seek to punish Britain to give a horrible warning to any others seeking independence, they are not putting the interests of Ireland first. 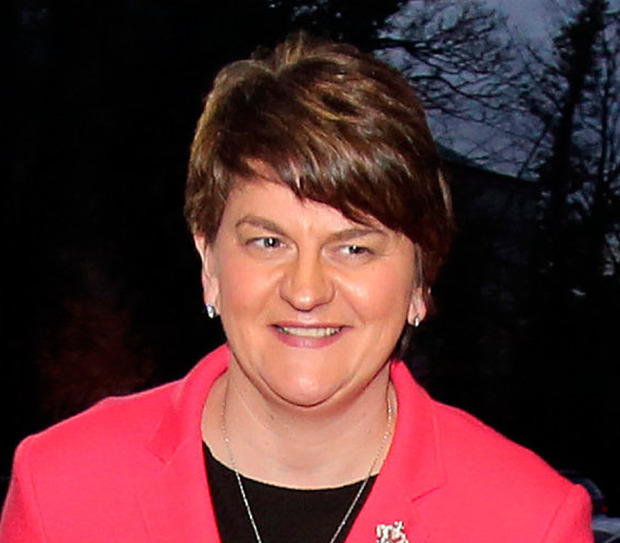 The Northern Irish, like Dublin and London, are deeply fed up with the inability of the DUP and Sinn Fein to get Stormont working again, and mostly are not impressed with Sinn Fein's destabilising tactics, which include banging on about the border and talking about reaching out to unionists while also promising to continue their repellent practice of eulogising their tribal terrorists. In a piece of staggering effrontery, the unimpressive Michelle O'Neill invited the leaders of all Stormont political parties to attend the launch of a Sinn Fein anti-sectarian initiative. Everyone declined. The BBC poll showed 28pc of Northern Irish people saying that Brexit made them more likely to vote for a united Ireland and 49pc under the age of 45 backing it, which is a serious demographic threat to unionists. Yet it also showed how stark the divisions still are: 80pc of Protestants described themselves as British or Northern Irish; 90pc of Catholics said they were Irish. In the event of a border poll, 45pc said they would vote to stay in the UK, and 42pc to join a united Ireland. But polls are as uncertain as everything else. Another recent survey by Queen's University showed 50pc opting for the status quo and only 21pc wanting Irish unity. And in case that doesn't confuse us all enough, the very latest poll - the Northern Ireland Life and Times survey - suggested only 22pc would vote for unity. Then there are Peter Robinson's suggestions, which included holding generational referendums on Northern Ireland's constitutional status (how long is a generation, everyone?) and changing the rules so that a simple majority would not be enough to bring about constitutional change. Unsurprisingly, these ideas aren't getting any support from Sinn Fein and, anyway, they are unrealistic, but it's good to have him opening up the debate. He was also eloquent in his warning to the DUP that future security is dependent on the party becoming a broad and inclusive church, which Arlene Foster is also speaking about frequently. Last week she was a guest at the Belfast Islamic centre marking the end of Ramadan. I would have thought the problems over Brexit must be exercising many political minds and making them more cautious about going gung ho for unity. Demands from the Sinn Fein Ard Fheis for Mary Lou McDonald to be Taoiseach will certainly be frightening the horses, and not just the unionist ones. The constitutional implications of disentangling Northern Ireland from the United Kingdom and integrating it into the Irish Republic are huge. It is some kind of progress that some of the hard questions are beginning to be asked, even in Westmeath by aggressive children. The Taoiseach is prone to being over-optimistic, but he must at last be grasping that between Brexit and Northern Ireland, with the plates shifting unpredictably under his feet, his job is no run in the park.